Osamu Dazai is one of the most famous--and infamous--writers of 20th-century Japan. 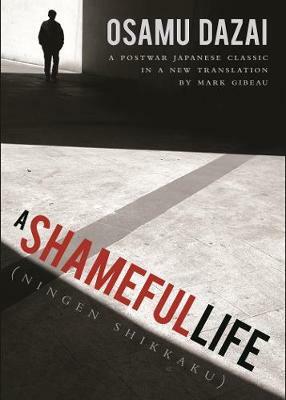 A Shameful Life (Ningen shikkaku) is his final published work and has become a bestselling classic for its depiction of the tortured struggle of a young man to survive in a world that he cannot comprehend. Paralleling the life and death of Dazai himself, the delicate weaving of fact and fiction remorselessly documents via journals the life of Yozo, a university student who spends his time in increasing isolation and debauchery. His doomed love affairs, suicide attempts, and constant fear of revealing his true self haunt the pages of the book and reveal a slow descent into madness. This dark tale nevertheless conveys something authentic about the human heart and its inability to find its true bearing. Author Osamu Dazai (1909-48) retains an enormous following today. He is as famous for his darkly introspective novels as for the light-hearted children's stories that are a staple of many Japanese textbooks. His novel Shayo has been published in English as The Setting Sun. Son of a wealthy family in northern Japan, Dazai was a top student who showed an early penchant for literary writing. He led a troubled, unstable life and suffered from drug abuse and alcoholism; he attempted suicide and had numerous affairs, even as his literary fame grew. A Shameful Life is said to be a close approximation of his lifestyle and struggles. The protagonist in the novel survives, but shortly after publication of A Shameful Life, Dazai and his lover drowned themselves in the Tamagawa Canal in western Tokyo. Mark Gibeau is a literary translator and scholar of postwar Japanese literature. His previous translations include fiction by Yasunari Kawabata, Jun'ichir Tanizaki, Sh gor Yamamoto, Sakumi Tayama, Mitsuyo Kakuta, Saky Komatsu among others. He is currently a Senior Lecturer in the College of Asia and the Pacific at The Australian National University, Canberra.